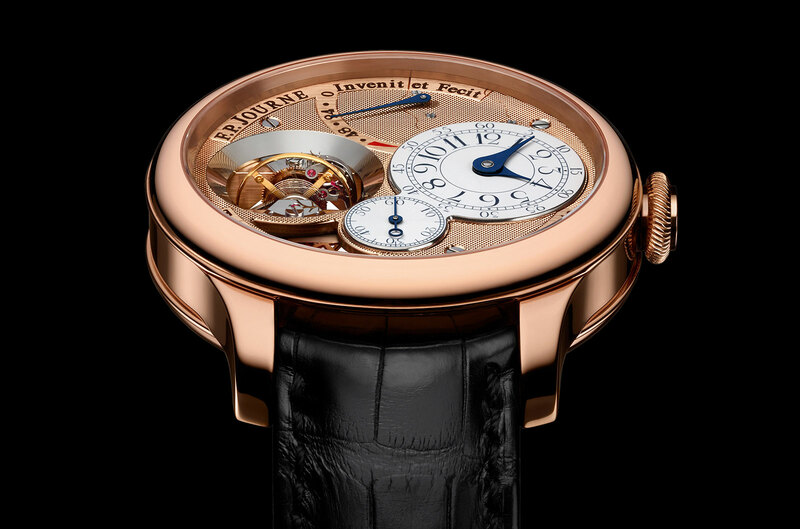 The original complication constructed by Francois-Paul Journe has now come to an end, with the launch of the Tourbillon Souverain Vertical. 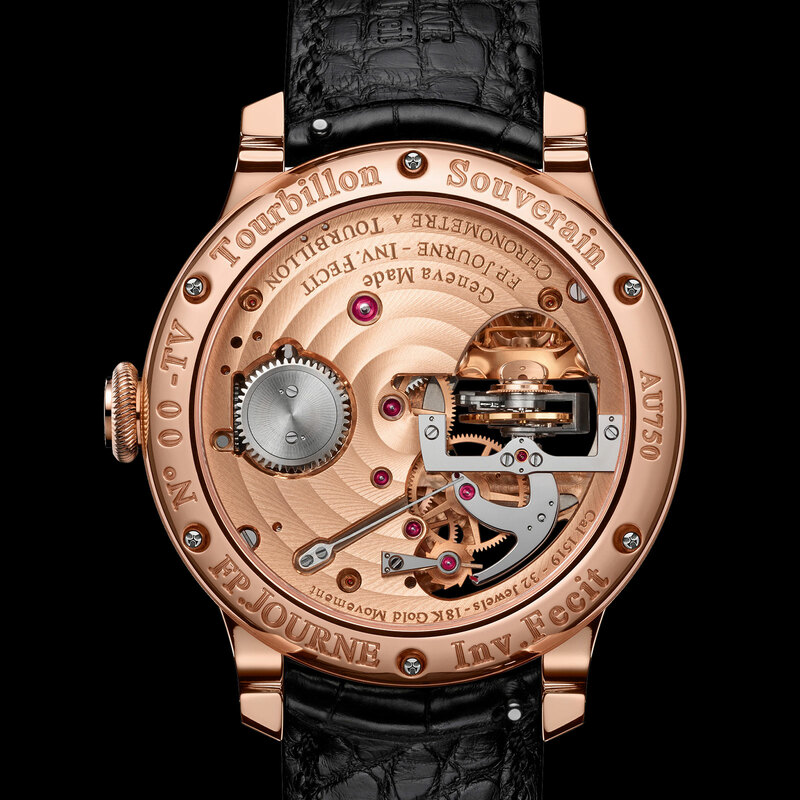 Unveiled to coincide with the 20th anniversary of his original tourbillon, the new Tourbillon Souverain Vertical boasts a high-speed tourbillon mounted perpendicular to the dial. 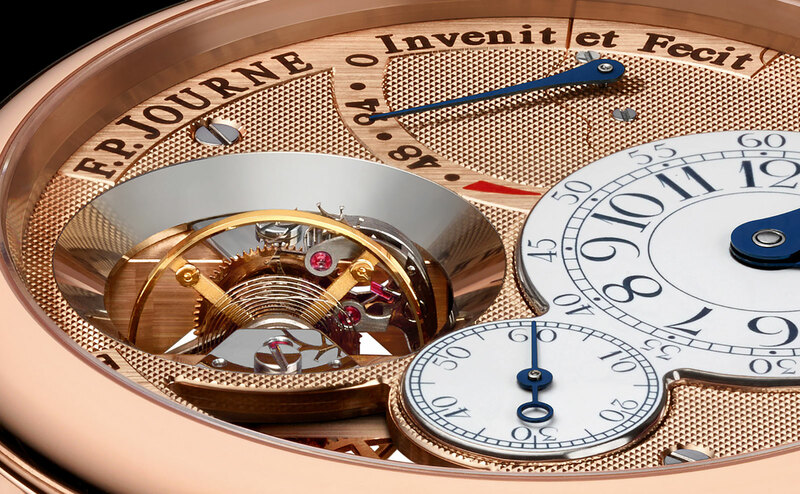 To emphasise the vertical tourbillon, the aperture for the tourbillon has mirror-polished, sloping sides on the front, as well as a mirror polished concave on the back of the watch. Beyond the vertical tourbillon, the other two key features of the watch remain the same as with the previous generation tourbillon. 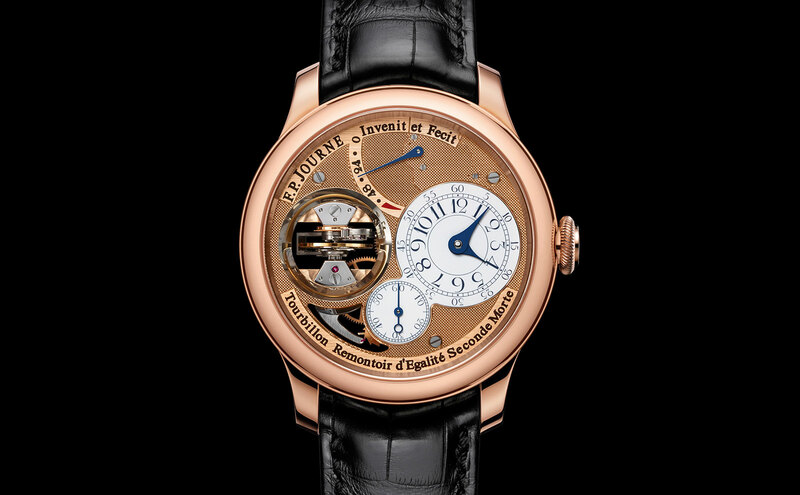 It has the same remontoir d’egalite, a constant force mechanism relying on a spring, as well as a natural deadbeat seconds thanks to the one-minute period of the remontoir. 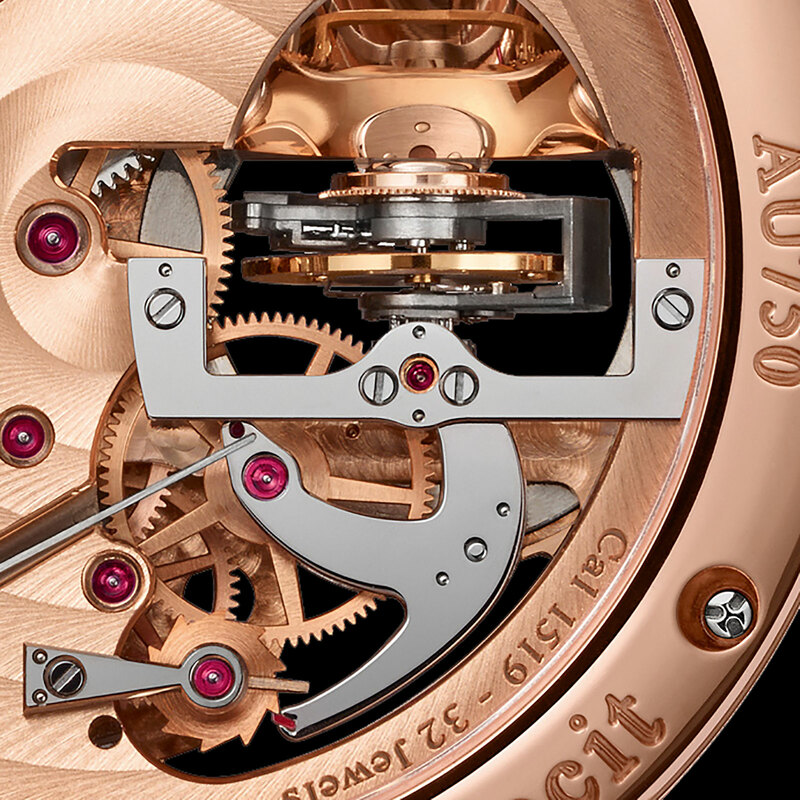 An aperture on the dial below the tourbillon reveals part of the constant force mechanism. Though the cal. 1519 has similarities to the cal. 1403 of the earlier generation, namely being hand-wound and running at 21,600 beats per hour, it is a significantly different movement. To start with it is larger, at 34.6mm in diameter and 10.86mm high, compared to 32.4mm and 7.15mm before. And the new movement has an 80-hour power reserve, almost double that of the cal. 1403. Other improvements are primarily aesthetic, starting with the fired enamel sub-dial (though there are two sub-dials, they are a single piece of enamel) that replace the traditional guilloche dials favoured by the brand. Perhaps more significant is the fact that the gold dial is now actually the dial-side of the main plate, exactly as it was on the original prototype F.P. 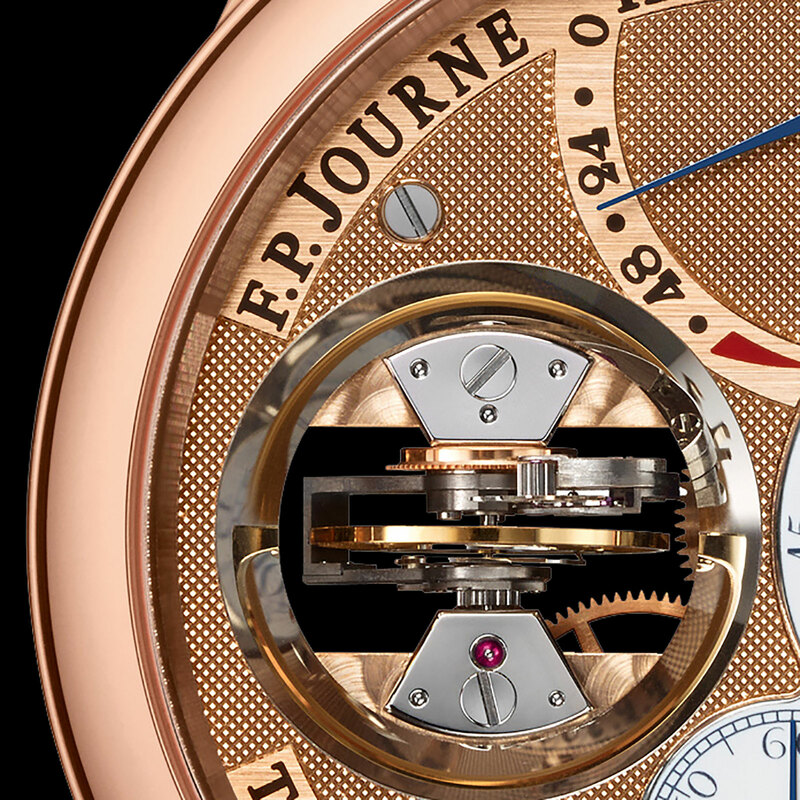 Journe tourbillon of 1991. Though the brand retained the signature gold dial on later watches, the dials were separate plates intended to look like a gold base plate. Now the dial is actually the base plate, which is 18k rose gold and finished with a hobnail guilloche. The only element of the Tourbillon Souverain Vertical traditionalists might not favour is its size: the case is 42mm in diameter and 13.6mm high, primarily to accommodate the height of the tourbillon. That compares with just 39mm on the original tourbillon. The case is available in 18k rose gold or platinum.